Home > News > July 2015 Legislative Highlights! Hopefully you're having a great summer! Thanks again for your support and for contacting me regarding any issue you would like to discuss. I hope these newsletters are a good resource for tracking the work of the legislature as it continues during this interim period. Following the completion of the general legislative Session begins the off-season, or "Interim" Session. Once a month we meet in committees comprised of both House and Senate members and begin to craft and discuss proposed legislation for the 2016 session. 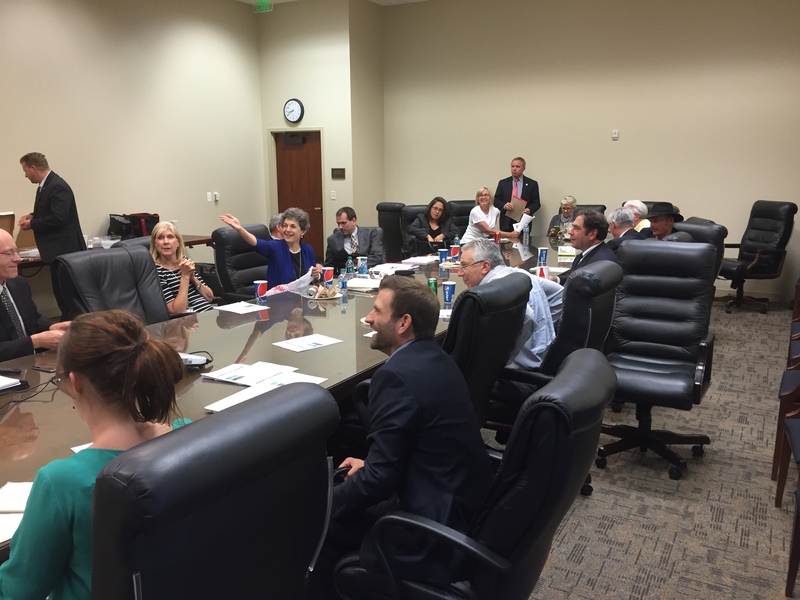 Our latest Interim Session was on July 15, 2015. 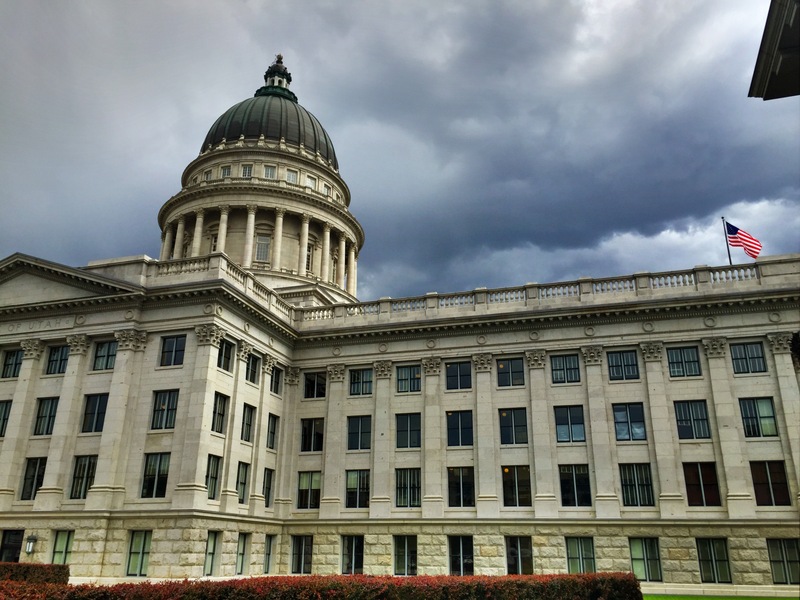 A new method for selecting state school board members is proposed, which includes selecting some board members by non-partisan elections, others by partisan elections and a third group appointed by the governor [Tribune, Deseret News]. Lawmakers are still trying to find a compromise to allow Tesla to sell vehicles from its dealership in Salt Lake City. Right now, Utah law prohibits dealers from directly selling cars to consumers [Deseret News]. Received a presentation and handout from committee staff explaining the history of legislation addressing residential rental foreclosures from 2009 to the present. Charter school funding - Received a presentation from legislative staff about the history of charter school funding. Also received a presentation from the State Office of Education about the current method of funding charter schools. Received a report from the Division of Air Quality on air quality issues. Rep. Hall - 2015 Business Champion! 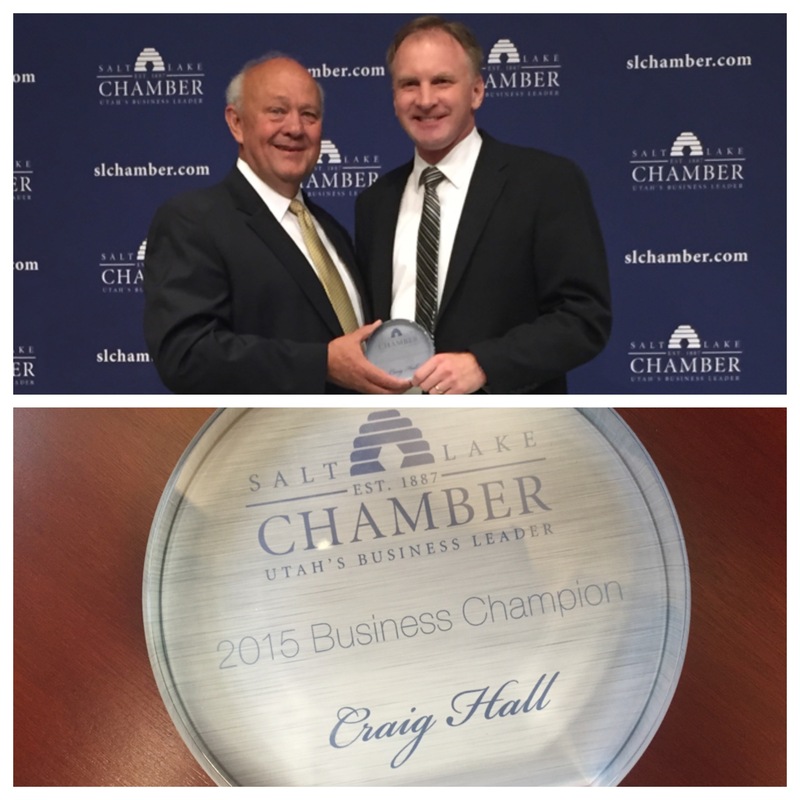 Thanks to the Salt Lake Chamber of Commerce which presented me with the 2015 "Business Champion" award. It has been great working with the Chamber. I met again with the bipartisan Clean Air Caucus earlier this month. Great presentation from the new Director of Environmental Quality, Alan Matheson. We continue searching for ways to improve the air quality in our State. Thanks to all those who are helping. Many of you may recall I sent an email regarding a missing person from our area. We are grateful that she was found the day after the email was sent. Thanks to all for your concern and help!